I recently interviewed Holger Nils Pohl about the need for visual clarity in business. Here are some of his thought-provoking views about this key topic. PowerPoint, Microsoft’s ubiquitous presentation software, had an absolute lock on the world of computer-based slide decks for many years. But one developer, Visme, is out to reinvent the process of creating, sharing and managing your thoughts visually. Here’s how powerful web-based visual collaboration tools help remote teams brainstorm, collaborate and work more efficiently. I recently interviewed the founders of Webjets, a new web-based visual collaboration tool, to learn more about its origin story, the needs it’s designed to fill and what makes it unique compared to other visual collaboration tools. What I found is a well thought-out roadmap for this platform. 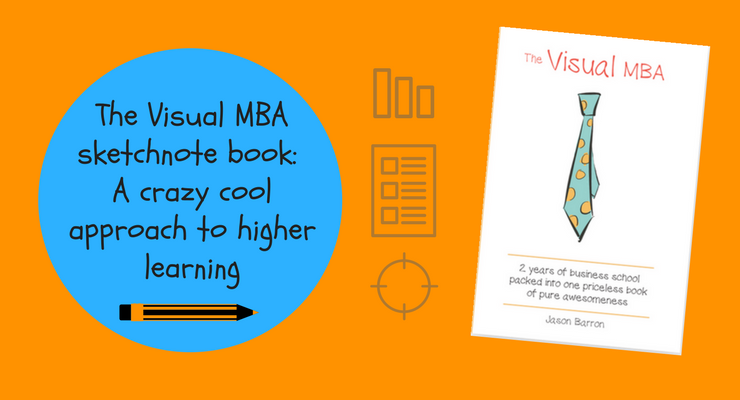 Two years ago, Jason Barron decided to go back to college to get a Masters in Business Administration (MBA). But he did something unique: He drew sketchnotes to maximize his knowledge retention and understanding. Technology has caused numerous changes in the ways we live and work. The same is true in the world of project management, according to Donald Maciver. Visual brainstorming and collaboration applications are wonderful tools for distributed teams to ideate and develop ideas. But a recent review of developer websites shows that customers are using these tools for far more than just noodling new ideas and solutions.